This is one of our favourite museums in Paris. Largely I suspect because it’s conveniently situated, you can see all the exhibits in a morning or afternoon, we adore the period its works typically cover (1848 – 1914) and the queues are never too long. We first visited it not long after it opened, thereafter at least annually and again on our most recent trip before Christmas where, despite overcast skies, we walked there. The building, the former Orsay railway station, is in the centre of Paris on the banks of the Seine, opposite the Tuileries Gardens. The station was originally constructed for the Universal Exhibition of 1900 though the construction of the Quai d’Orsay began back in 1708 near the Pont Royal, and was completed a century later in Napoleon I’s Empire. 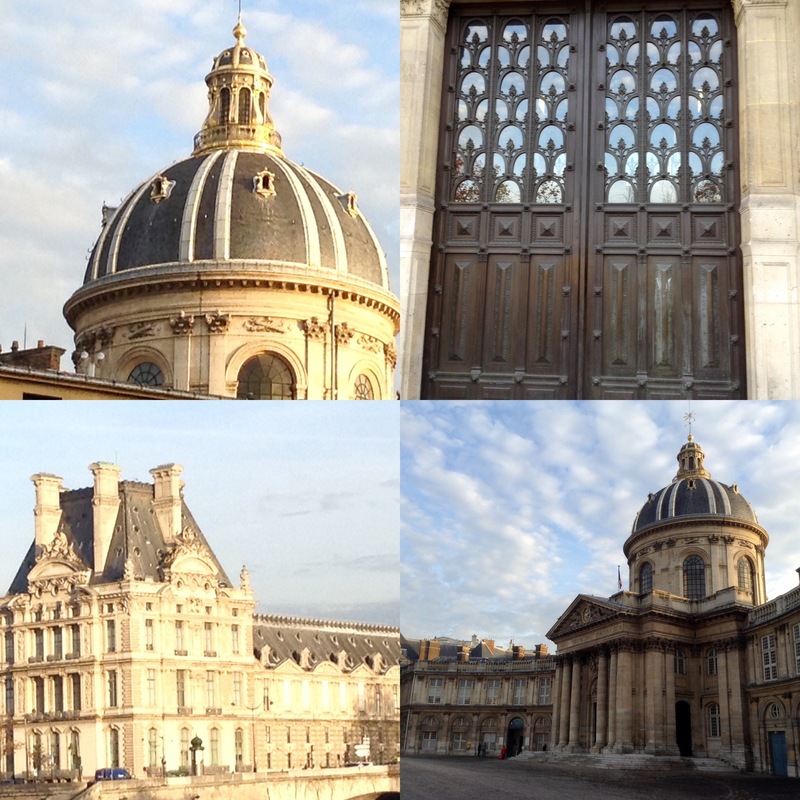 During the 19th century, two buildings stood upon its site: the barracks for the cavalry and the Palais d’Orsay. Although the latter had originally been planned for the Ministry of Foreign Affairs, it eventually housed the Cour des Comptes (Court of Accounts) and the Conseil d’Etat (State Council). During the violent upheaval known as the Paris Commune in 1871, the entire neighbourhood was burnt down. For thirty years, the ruins of the Palais d’Orsay served as a reminder of the horrors of civil war. After the 1900 Exhibition, the Gare d’Orsay then successively served different purposes. Most notably, it was used as a mailing centre for sending packages to prisoners of war during WWII. Then, after the Liberation, those prisoners were welcomed back there. The station was saved from destruction and replacement following a revival of interest in nineteenth-century architecture when it was listed as a Historical Monument in 1973. 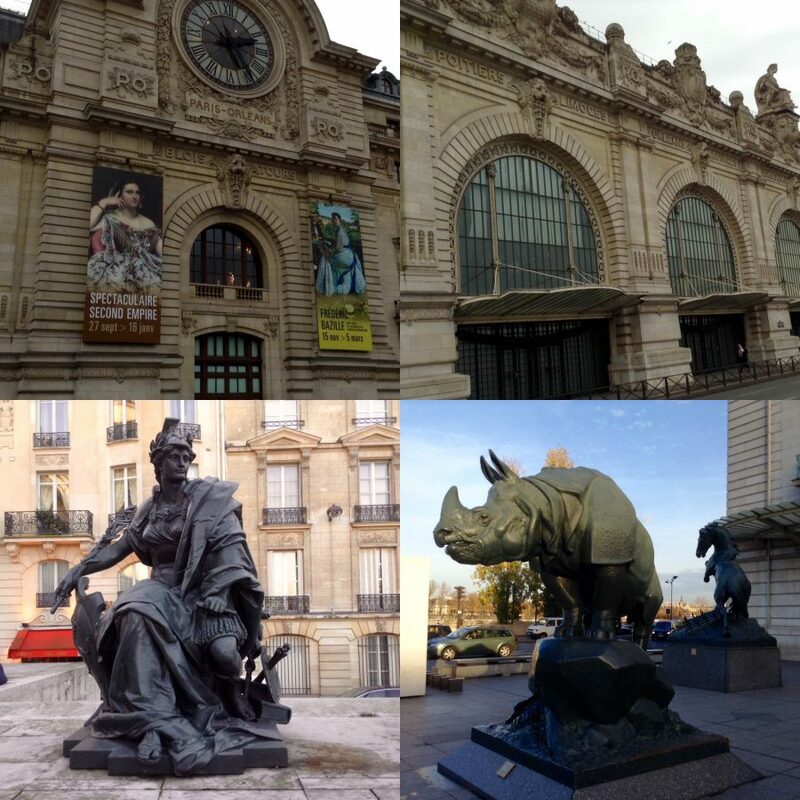 Subsequently, the Direction des Musées de France decided to install a new museum in the train station to house art from the second half of the 19th century. In 1978 a commission was created to oversee the construction and organisation of the museum which was finally opened in December 1986. The transformation of the station into a museum was accomplished by the ACT architecture group, whose proposal beat off competition from five others, largely because it was more respectful of the original architecture. The project highlighted the great hall, using it as the main artery of the visit, and transformed the magnificent glass awning into the museum’s entrance. The museum is organised on three levels. On the ground floor, there are galleries either side of the central nave, which is overlooked by terraces from the next level which in turn open into additional exhibition galleries. The top floor is installed above the lobby, which covers the length of the Quai. On our latest visit, the Musée d’Orsay and the Musée National Picasso-Paris were exhibiting works from Picasso’s Blue and Pink periods. It was the first major collaboration between the two museums, bringing together masterpieces while offering a reinterpretation of Picasso’s early years (1900-1906), a formative period in the artist’s career. Although we’d recently visited the Musée Picasso, we’d not previously seen any of these works, which cast an interesting perspective on the artist, his earlier works and the other major artists who influenced him, such as Van Gogh. We also reacquainted ourselves with the museum’s other works and, after a long morning gazing at masterpieces, headed outdoors for lunch. As a general rule, I avoid restaurants in the immediate vicinity – tourist traps – and head for a bistro bustling with locals. Suitably sated, my beloved headed back on the Metro while I decided to re-acquaint myself with the shops and galleries in St- Germain-des-Pres and the Latin Quarter. I’m back from a flying visit to Paris, a city I really should visit more often. 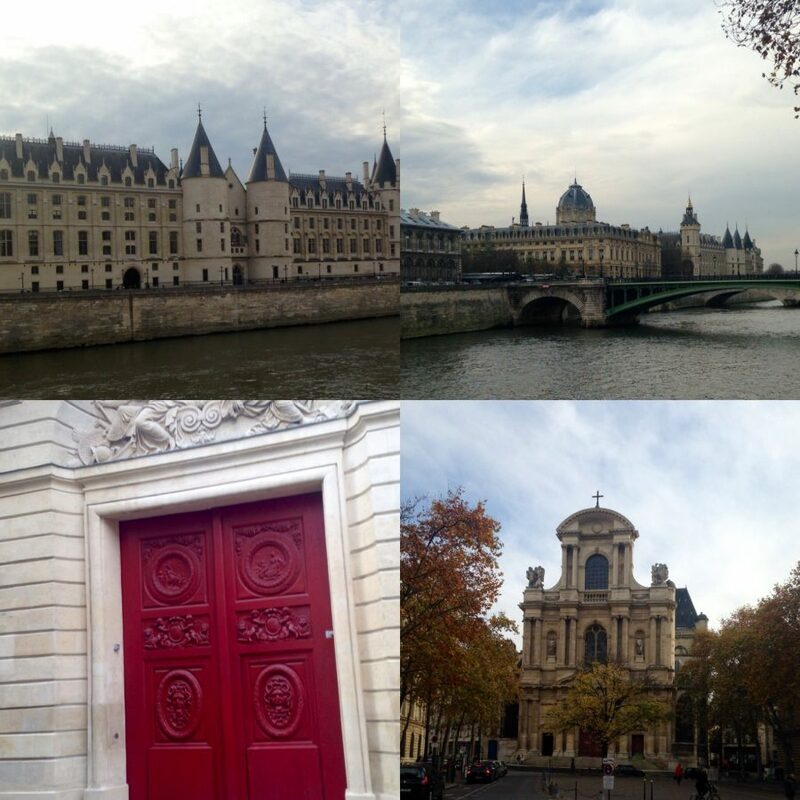 I found a great deal on a delightful hotel in the 6th arrondissement, a stone’s throw from Notre Dame and Quai d’Orsay, one of my husband’s favourite museums in Paris. We arrived in time for lunch at a neighbourhood restaurant, part of Guy Savoy’s stable. My beloved had the set lunch menu while I went a la carte with carpaccio of octopus followed by salmon. It was delicious and we walked off the calories walking briskly along the Seine. My beloved was taking a few precious hours away from work to do a spot of sightseeing. 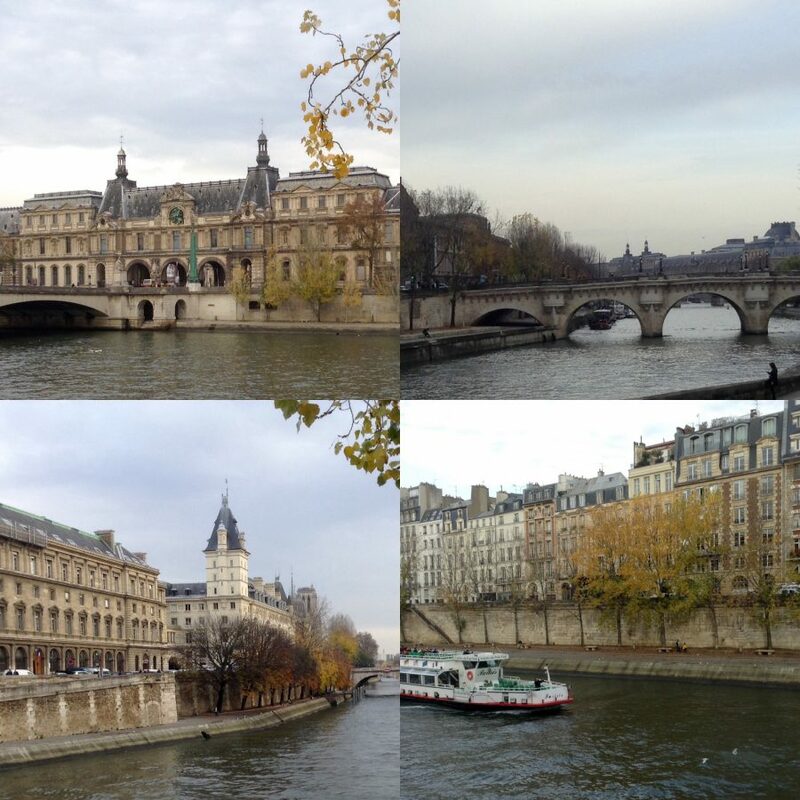 While I’ve visited all Paris’s major attractions at least once, my beloved has not. 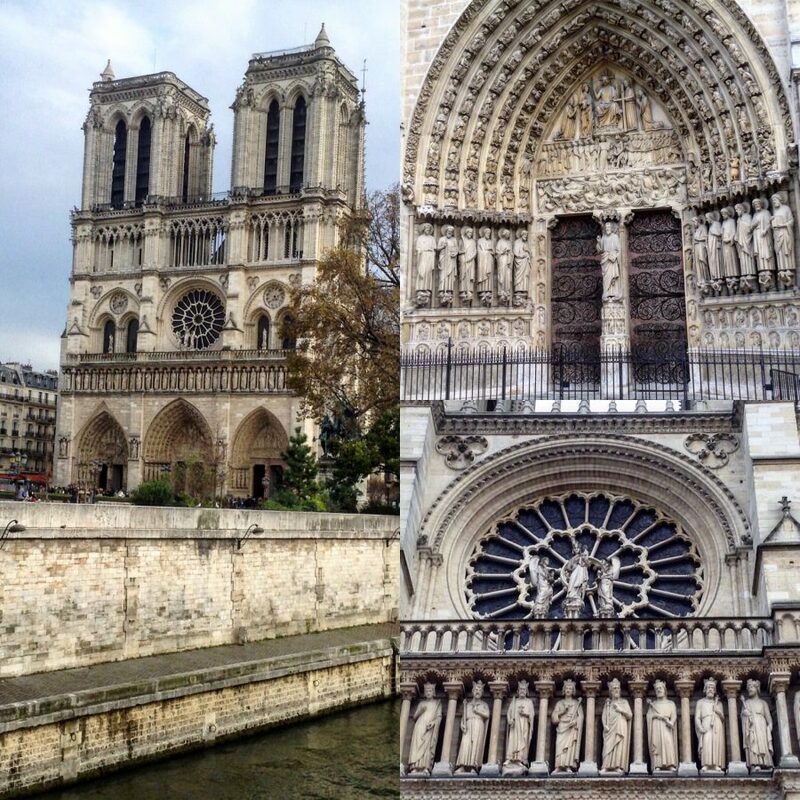 He wanted to see inside Notre Dame but swiftly changed his mind when he saw the 300 metre long queue – maybe next time. Instead we admired its intricate exterior Gothic carvings before continuing our walk. Instead, we visited his favourite museum and enjoyed a fabulous exhibit of treasures from the Second French Empire, a time of tremendous wealth in France where it was de rigeur to flaunt said riches. The other was of the works of Frederic Bazille, an impressionist who hob nobbed with the likes of Monet, Renoir and Sisley but tragically died too young, leaving a small but beautiful body of work. After our dose of culture we strolled back to the hotel to enjoy a reviving cuppa. The hotel had already endeared itself to me by giving us a room upgrade. It then exceeded my expectations with a complimentary bottle of my favourite beverage. It will be deservedly receiving a glowing report. We spent the evening in the hotel bar enjoying a jazz concert before retiring for a great night’s sleep. The following morning my beloved had a packed itinerary starting with an early business meeting over breakfast leaving me to enjoy a lie in followed by a busy day pounding the Parisian pavements. 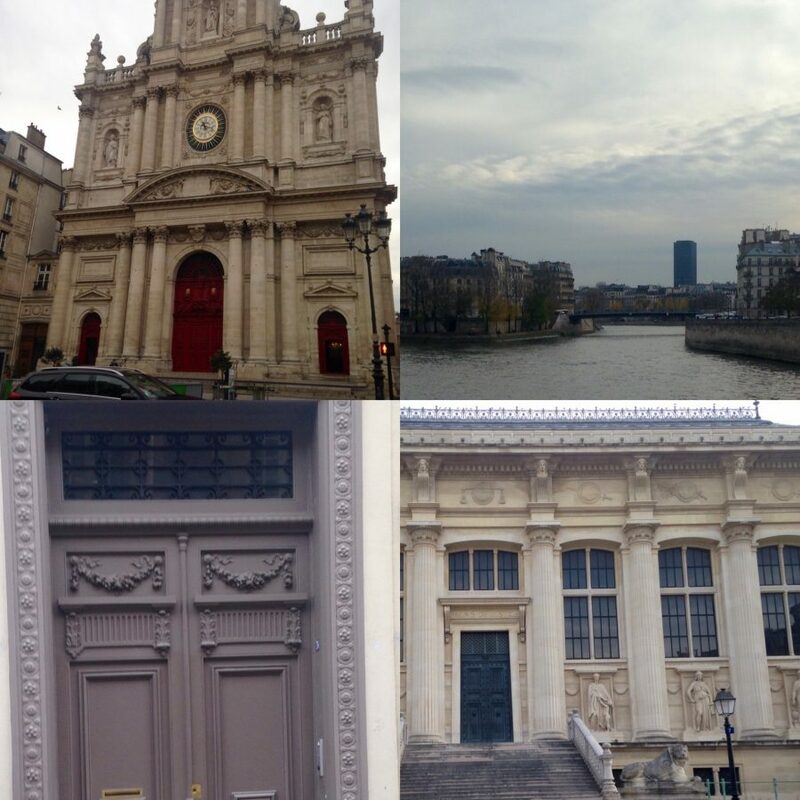 I started by walking around the St Germain area which is full of interesting shops and galleries before straying across the river into an old favourite, the Marais. I walked the streets of Paris for over six hours before meeting my beloved back at the hotel for an early dinner in a typical French brasserie where we both tucked enthusiastically into a plate of oysters before heading home. Next stop New York!